Sitting snug, with the engine purring contentedly, you have to marvel at how the ragtop on the Porsche 718 Boxster S keeps the noise out. Hold the switch on the centre console and the top neatly opens and folds into the back, allowing the world to flood in — from noises to aromas. The added dimension of the world rushing by is achieved without any additional dramas from the two-seater, like squeaks or rattles. In our climate, it’s not likely the soft top will be folded away. But when it’s up, you do have to be mindful of the left rear blind spot; almost blindfolding you as a result of the extra material used to support the rear windshield. 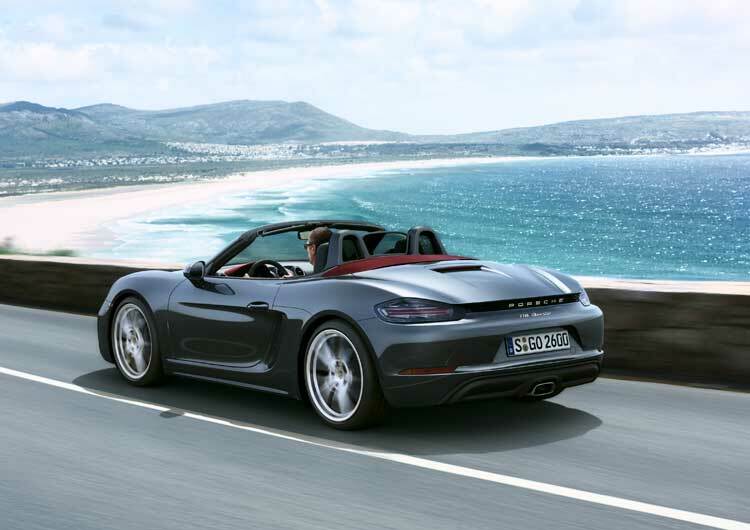 With the rejigging of its line up, this new model comes in to add some excitement while redefining the Boxster range. With sharper lines fore and aft, the 718 Boxster S packs more power than its predecessor, and looks the part. Large air intakes gulp in more air for the new turbo engine. The new four-cylinder, flat 2.5-litre engine is turborcharged to deliver 257kW, with much of the power flowing from 1,900rpm. That results in some lurching in a city crawl, since it desires to dash to 100kmh in just over four seconds. Once you’ve twisted your way into the low seats — the Boxster runs lower to the ground than its predecessor — you’ll realise almost every millimeter of space in the cabin has been taken up. Don’t drop anything in the hairline crack between the seat and centre console. There’s very limited storage space in the cabin. The same applies to the storage under the hood and in the boot. Needless to say you won’t be popular in a house move. But it also means that everything is within reach, from the touchscreen display to the paddle shifters and the round selectors on the steering wheel and your passenger. 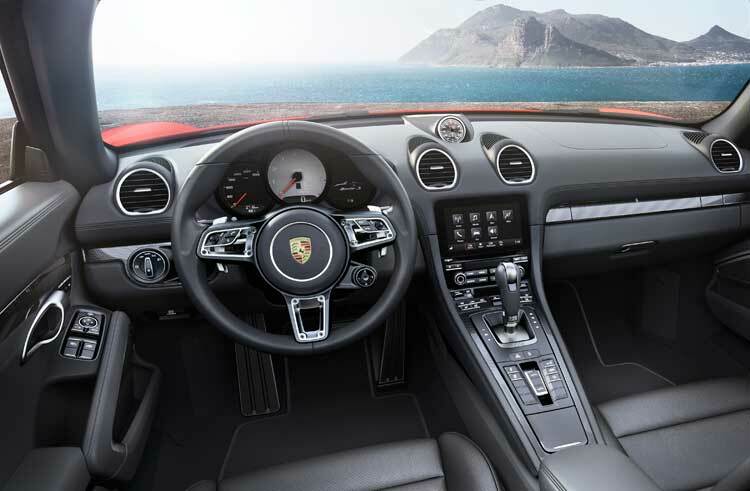 The redesigned interior echoes other Porsche models but benefits from newer features. The Sport Response Button on the steering wheel is great for overtaking, delivering up to 20 seconds of pure push. In Sport mode, you get the addition of burbles as the newly developed exhaust system plays its own melody. 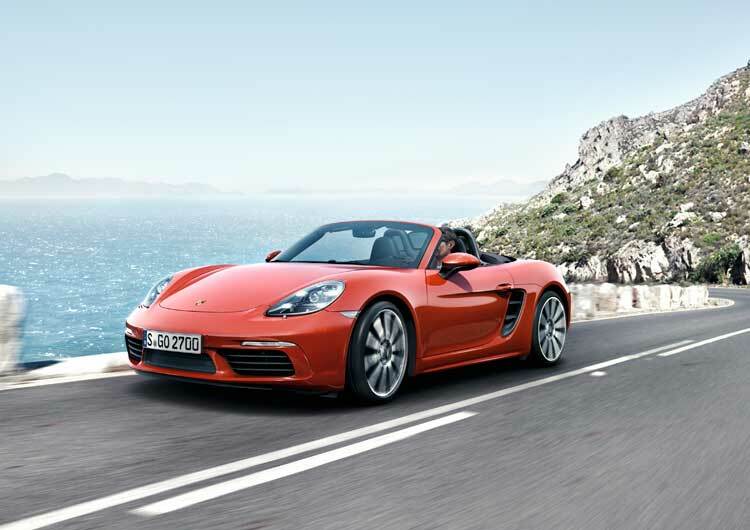 The Boxster S is comfortable in city traffic moving at a reasonable speed. Of course, it’s a lot happier when taking on the twists and turns. The reinforced rear suspension and the wider rear wheels result in a gripping ride, especially around corners. But could it also result in a little less feedback and that hint of vagueness about the steering on occasion? Given its willingness to move at speed, its ability to stop has been correspondingly matched with stronger brakes. The Boxster S uses the four-piston calipers of the 911 Carrera with thicker brake discs. Working in conjunction with electronic aids, this allows for easy handling with a greater degree of confidence. If a car can inject some fun into your otherwise mundane existence, the 718 Boxster S makes for an engaging accessory.